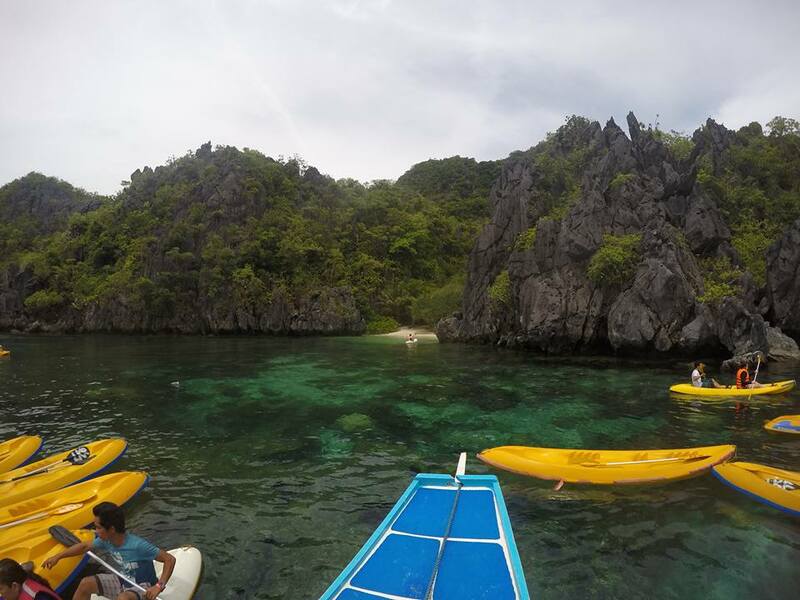 For our last day in Palawan, we were scheduled to go island hopping around the beautiful islands of El Nido. 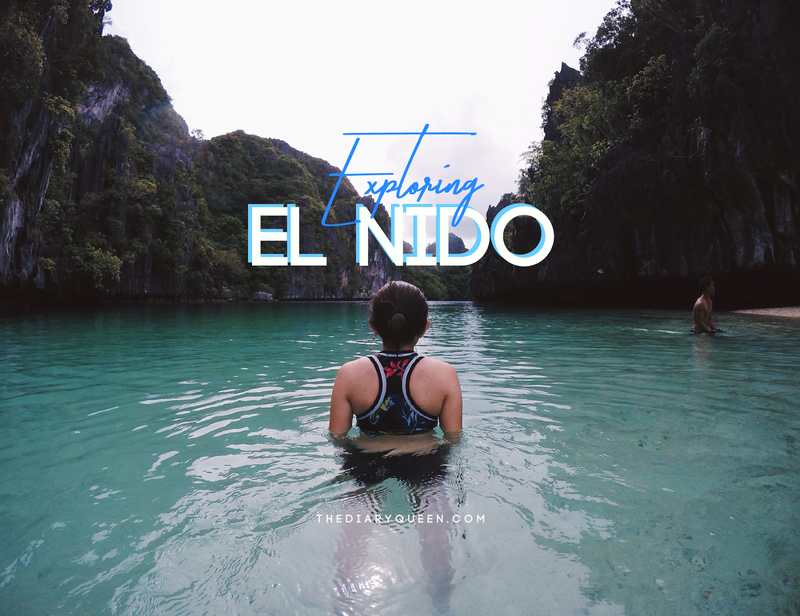 If you've read my previous entries (Day 1: Puerto Princesa and Day 2: Underground River), you'll probably notice how the past 2 days didn't include any interaction with beaches (or pools, at the very least). So we're really bummed by day 2 because we're badly craving for the beach, plus, we've prepared so much for this part. Note to self: read the itinerary next time so you could plan your ootds well. Obviously, this is my favorite among our Palawan-ventures because we finally got to spend some time with the sea! Our tour came with package A island hopping which includes the Seven Commandos Beach, Small Lagoon, Shimizu Island, Secret Lagoon and the Big Lagoon. We arrived at the docking area around 8 am and proceeded with the tour shortly after occupying the boat. I wasn't able to take photos in this area mainly because I was too excited to plunge into the water. According to our guide, Seven Commandos Beach is a popular location for beach parties. It's the closest beach to the docking area and has enough space to accommodate a crowd of party-goers. There's also a pop-up store/bar by the beach side where you can buy drinks & food. Cabanas and huts are free of charge. 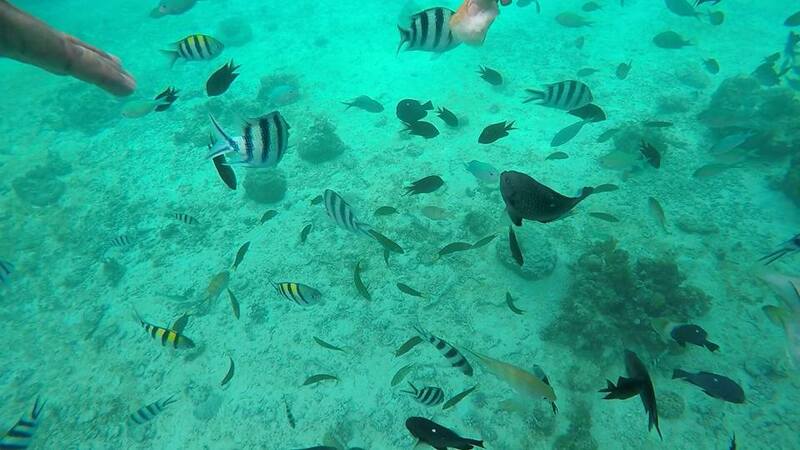 It would be best if you bring along your mask, snorkel and life vest if you're not a good swimmer because you might spot some fishes and corals along the shore reef. The water gets instantly deeper even if it's just a few meters away. Now this is where the real adventure began! The place was already packed with boats and kayaks when we arrived. Our boatman told us that the kayaks are readily available for rent at the entrance of the Small Lagoon. 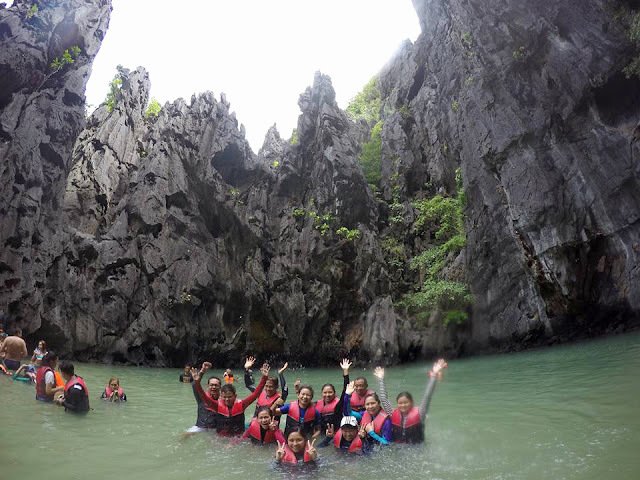 We rented a few for our group at PhP300 each since it's the only way for us to enter the lagoon. Well, you also have the option to swim your way in, but beware of the territorial fishes swimming around (and we weren't ready for that just yet). Also, to swim our way in and out would probably drain our energy-- not a good idea when we've got an entire day touring on different areas. Entering the lagoon was a bit of a challenge since it was only accessible through a small gap between two rock formations (not shown in the picture), so we had to dodge and maneuver the kayak well to avoid getting hit. The rest was simply amazing! At one point, we had to get off our kayak to swim around the cold waters. 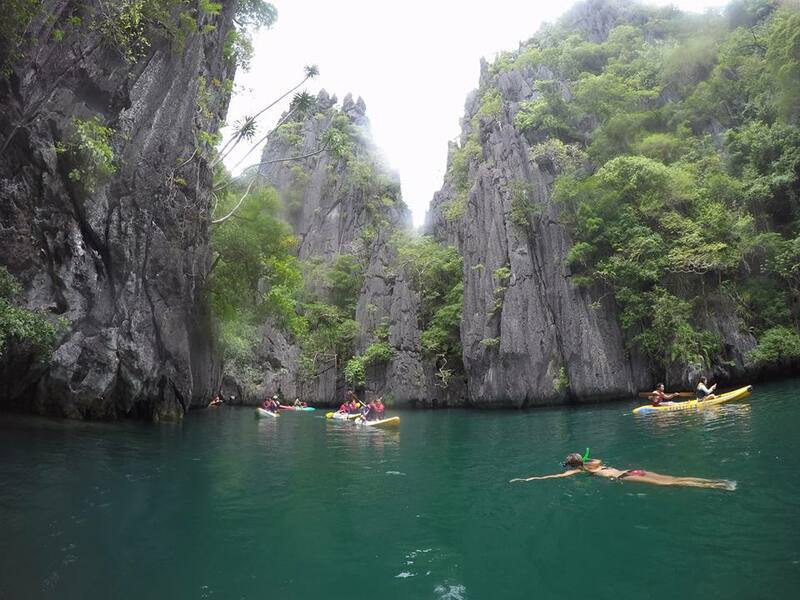 The limestone formations perfectly walled the small lagoon, enclosing one of the most beautiful sights in Philippine paradise. Shimizu Island is probably the most relaxing part of the tour, mainly because it involved less physical activities + food. Our boatmen started grilling some fish while we were busy kayaking around the small lagoon and they were almost done when we arrived in Shimizu Island. While waiting for our delicious lunch, we went snorkeling around the perimeters of our boat. The pristine waters and the great view also made a picturesque background, so we took this opportunity to take more photos. Second to the last stop was the Secret Lagoon. Luckily, both the current and tide were cooperating so we didn't have a hard time swimming/walking our way to the entrance. In this area, it is highly recommended for you to wear your swim shoes/sandals. The water leading to the lagoon is shallow so be extra careful with sharp rocks and corals. The entrance to the Secret Lagoon is quite small that we all had to carefully squeeze ourselves in. The water inside the cave is noticeably colder since it is concealed beneath all these rock formations. It was relatively shallow at first, but it gets deeper as you go farther so take extra care when roaming around. And for our last stop... the majestic Big Lagoon. As always, Palawan never failed to surprise us. I initially thought that the Big Lagoon was the one we're looking at (as seen in the picture below), but apparently, this was just the entrance. 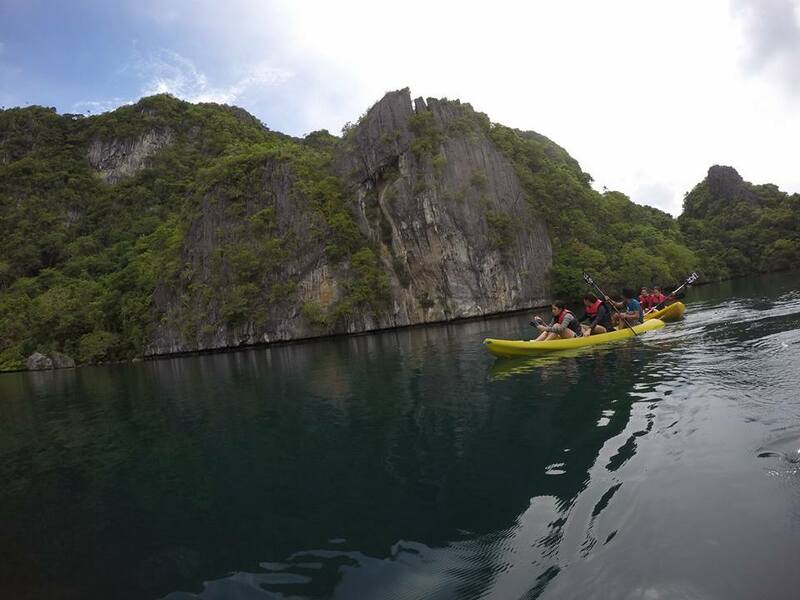 Again, we rented kayak so we could roam around the extents of the Big Lagoon. We were lucky enough to have it all to ourselves when we arrived, so we didn't miss this chance to take more photos. Everything looks like something taken straight out of a movie. It was simply magical, and even words aren't enough to suffice for its beauty. 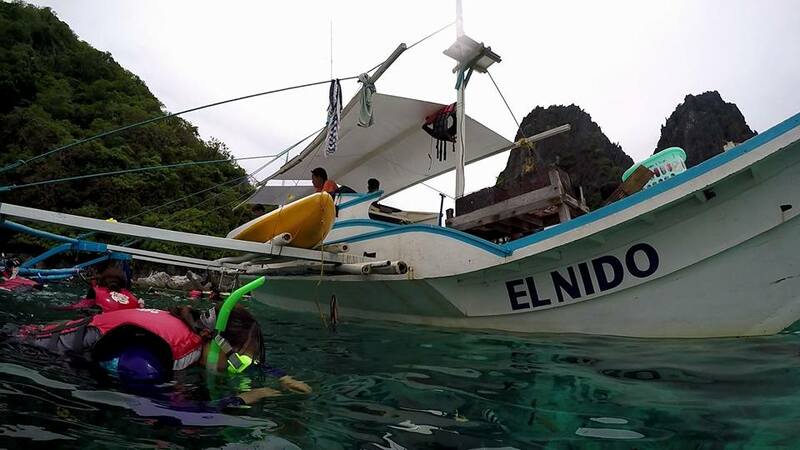 There are four island package tours available in El Nido. Each of them has their unique areas to visit. You can google them before proceeding to your Palawan trip so you could weigh in your options before deciding on what package to pick. Every tour requires around 7 to 8 hours so that limits you to one tour per day. Although some boatmen offer combination packages for a cheaper price, I don't recommend it because you'll have lesser time for each spot. So based on my experience (and queries to our boatmen), if you're into adventure and exploration, we would highly recommend the Tour A (the one we had). As you can see, its main attractions are the lagoons and almost all of them require effort. 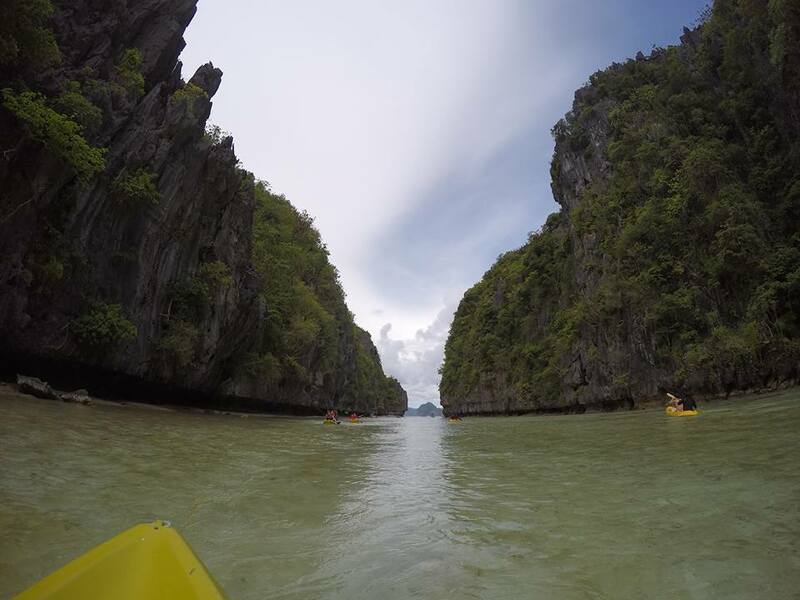 You'll have to swim, trek or kayak your way to the lagoons hidden beneath the rock formations. But the view... definitely worth it! But if you're into sun tan and sea side adventures, it is advisable for you to choose the equally beautiful Tour C which includes islands and beaches as their main attractions. Do you prefer travelling for adventure or to relax and unwind?